How to Remove Water Spots from Your Car | Gold Eagle Co.
There’s nothing worse than seeing water spots on your car, especially if you recently washed it. So what causes this problem, and how can you get rid of it? Better yet, how can you prevent water spots from appearing on your car to begin with? Here’s what you need to know about how to remove water spots from your car or even prevent them altogether. 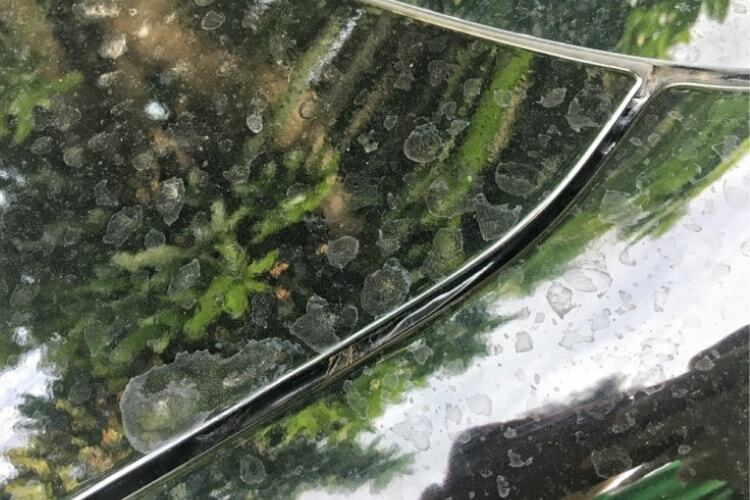 Why Are There Water Spots on Your Car? First, you should learn why water spots appear on your car in the first place. In some cases, it’s because you parked near sprinklers that sprayed your car with water. In other cases, water spots appear after it rains, or even after a car wash. Maybe you assume you can simply leave the spots for now because they’re just cosmetic, and if you’re short on time, it’s tempting to ignore them until your next car wash. The problem with this is that water spots are made of hard water, which contain minerals and other tiny pollutants. 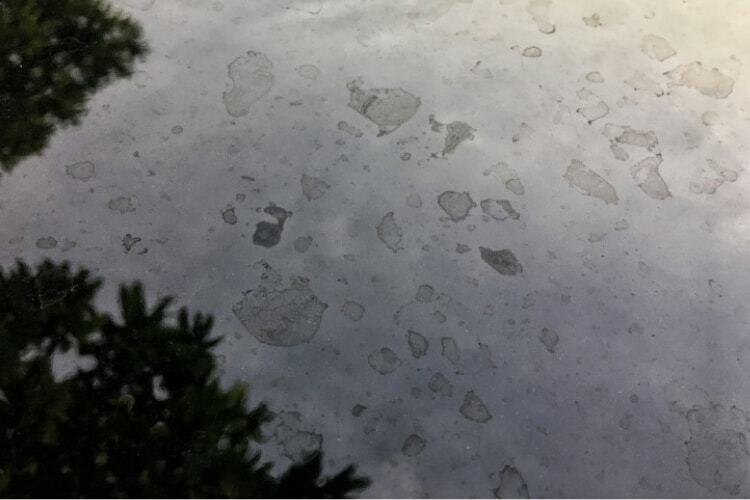 That’s why you see the spots, as you’re seeing the minerals and dirt that are left behind after the actual water evaporates on your car. This type of debris can damage the paint job over time. It can even negatively affect glass, so leaving water spots on your car’s windows isn’t recommended. If you notice water spots on your car and would like to remove them fast, you may be able to use items you already have at home. For example, white vinegar is a popular water spot remover. This is because it has a low pH level, which makes it good at getting rid of the minerals in hard water, which have high pH levels. Fill the bucket with equal parts distilled water and white vinegar. Dip the sponge into the solution and choose a small area on the car to test out, in order to ensure it doesn’t damage the paint. Do this by rubbing the solution onto a water spot, letting it stay on the surface for one minute before you rinse and dry the area. As long as you don’t see any damage to the paint, keep applying the solution to any water spots on the rest of the car, including the windshield. With each water spot, allow the solution to stay on the surface for at least one minute, and then rinse it with clean water. Use a microfiber towel to dry the surface when you’re done. You may need to apply wax to your car after you use vinegar on it, as it might remove wax and other sealants. If you prevent water spots in the first place, you won’t have to spend time removing them. You can do so by washing your car the right way every time. To get started on the perfect car wash, you’ll need a hose, two buckets, car wash soap, a sponge, a car wash mitt, and microfiber towels. Start by making sure you wash your car in a shaded space when it’s cool out, not in direct sunlight, since you don’t want the water to dry too fast on your car. Use the hose to rinse loose dirt and debris from your car. Use a quality soap that is meant for the job, such as TriNova Car Wash Soap. Dip the washing mitt in a solution of car wash soap and warm water in one of the buckets, and wash your wheels first. Then wash your car section by section, moving from the hood to the doors to the trunk. Rinse each section with clean water from the second bucket before moving on to the next one. Use the hose to spray the entire car with clean water to ensure it’s all rinsed. Take a microfiber towel and blot each segment of the car until it’s dry, making sure not to let your car air dry—as that will result in water spots! Knowing how to remove water spots from your car can help you keep it looking shiny and new for as long as possible after each car wash. This is great whether you plan on entering your car in a show or just like driving around in a nice looking car that’s free of water spots!